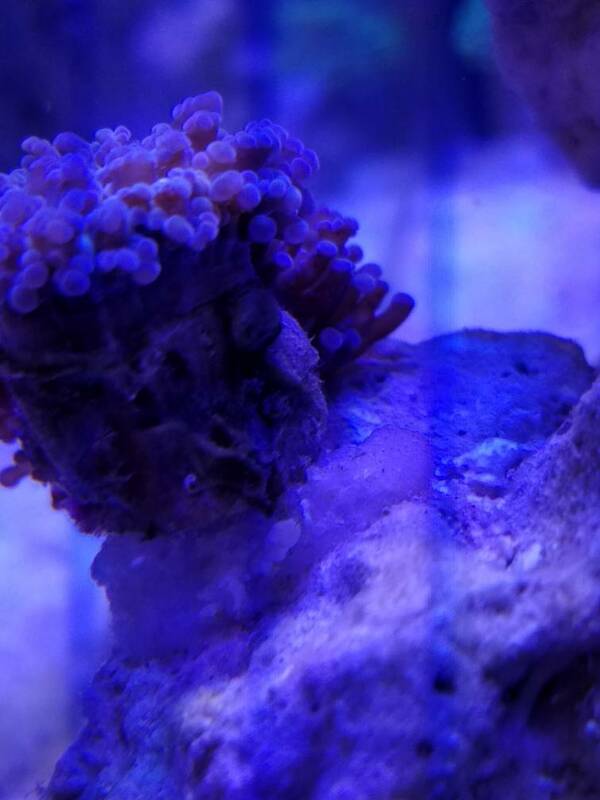 Recently (one week or so) I have noticed that my Octospawn has not been opening up completely. So I started to really check it out and it seems like there is something living on the skeleton. When I tap the tank it closes up like a bivalve. I highly doubt it is another head growing. I will post pictures below. 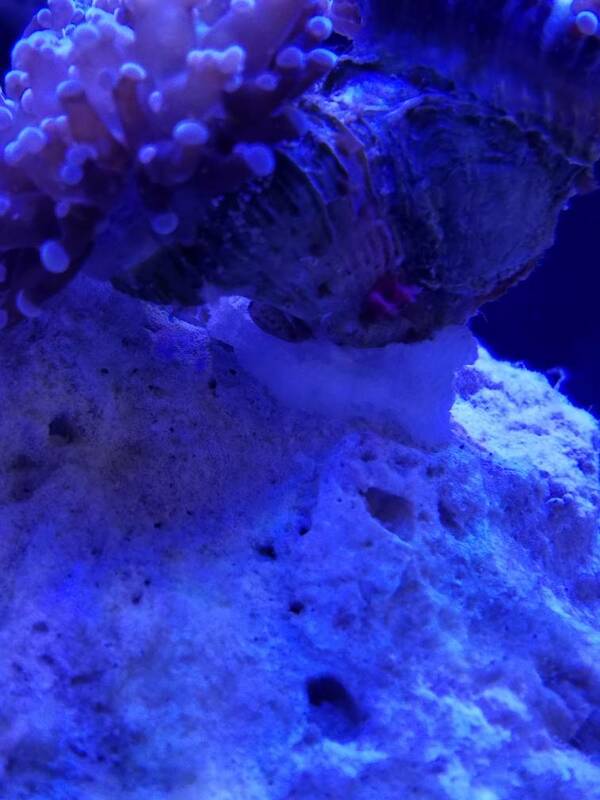 Im curious if someone has an idea, if bot I will pull the coral out and try to peel off whatever it is on there.